The traditional notebook and netbook PCs have been joined by tablets like the iPad, and increasingly powerful smartphones to make computing while tethered to a desk almost a foreign concept. But, there is still a difference between a little Web surfing or text messaging on the go, and a business professional that relies on mobile technology to get the job done: a road warrior. One thing that desk workers sitting in an office take for granted is being connected to the network and the Internet. Mobile professionals can use public Wi-Fi hotspots like those at Starbucks or McDonald’s–but those have some additional security concerns and may not always be conveniently located (although near my house you can find one or both in any given quarter mile radius). 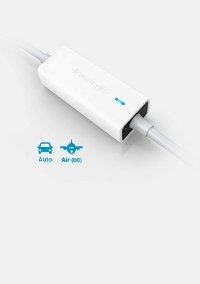 A mobile broadband hotspot like the Clearwire Puck or the Virgin Mobile MiFI let road warriors set up personal Wi-Fi hotspots that connect over 3G or 4G cellular networks to access online resources from virtually anywhere. Myinnergie mCube – Mini Laptops have improved drastically over time, but even the best can’t usually make it through a business day without needing to be recharged. The massive power brick that seems to be the standard for mobile PC power cords isn’t very portable, though. This miniature gadget fits in the palm of your hand and can plug in to 12v car outlets or outlets provided on commercial aircraft to give your laptop some juice. 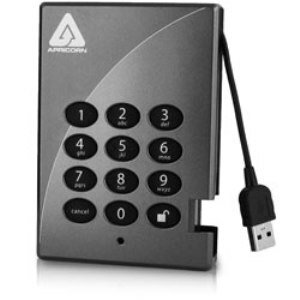 Aegis Padlock Drive – Laptop hard drives have increased in capacity, but the storage space is still finite. Plus, some companies require an act of Congress to allow a third-party visitor to connect to the internal network, making a portable USB hard drive one of the more convenient methods of sharing data with clients or partners when the need arises. The very things that make USB hard drives effective portable tech gadgets, though, also make them easily lost or stolen. For that reason, road warriors should use a portable USB hard drive like the Aegis Padlock that requires a PIN code in order to access the hardware-encrypted data it contains. Microsoft Arc – The touchpad or little eraser stick pointer that are standard fare on laptops are sufficient mouse replacements…but not for long. For road warriors setting up shop to actually work for extended periods of time, a mouse is still the way to go. There are a variety of portable wireless mice to choose from, but sacrifice full-size and long-term comfort for portability–leaning toward the diminutive end of the scale. The Microsoft Arc is another story, though. 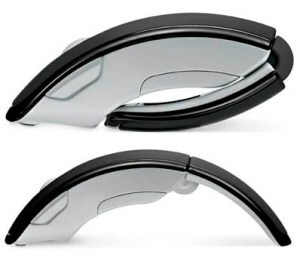 The Microsoft Arc snaps flat for storage and transportation–taking up almost no space in the laptop bag, but snaps into an arc providing a full-size mouse look and feel. Seagate Momentus – SSDs (solid state drives) have been all the rage lately. The purely digital storage enables mobile computers to boot quicker, and access data faster, and the lack of moving parts makes the drives more reliable. Or, at least that’s what it says on the brochure. But, SSDs are substantially more expensive than comparable traditional drives, and recent surveys suggest that the reality might not live up to the marketing hype. The Seagate Momentus takes a hybrid approach.The Momentus combines the cheaper storage and larger capacities of traditional drives with the faster access and reliability of an SSD. There you have it. Just having a notebook, tablet, or mega smartphone is fine for some users, but true road warriors need more than simple computing on the go. Road warriors need to be able to maximize performance and efficiency as if they were sitting at a desk in an office, and this survival kit contains valuable tools to make that possible. What tools have I missed? I’d love to hear what gadgets, tools, or services you find invaluable for mobile computing, and what your suggestions might be for a road warrior survival kit.